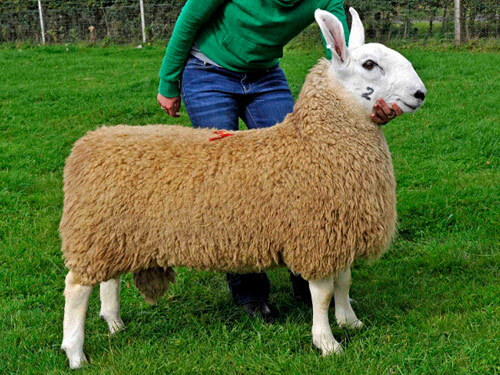 One of three distinct breeds of Leicester sheep, the Border Leicester was founded in 1767 by George & Matthew Culley of Fenton, Northumberland, England. They were friends of Robert Bakewell and had access to his improved Leicesters. Some feel that the Culley brothers developed the Border Leicester by crossing Bakewell's improved Leicester rams with Teeswater ewes. Others argue that Cheviot blood was introduced. In any case, the breed was firmly established in England by 1850 and Border Leicesters have now surpassed the old English Leicester in popularity in the British Isles and in other countries. Border Leicesters are moderately prolific, good milkers, and mothers. They have been used throughout the world to sire crossbred females. They yield a long-stapled, lustrous, coarse wool that is much in demand by hand spinners.